But on this subject there is nothing strange, the Pope refers to the official position of the Catholic Church that are also well illustrated in the sacred texts. The links between Bergoglio (Pope Francis) and the Argentine dictator Videla (who ruled between 1976 and 1981) are incredible. The neo-pope was in closest connection with the repressive apparatus of the government and even was an active militant (when he was already a priest) in the far-right group “Iron Guard”. 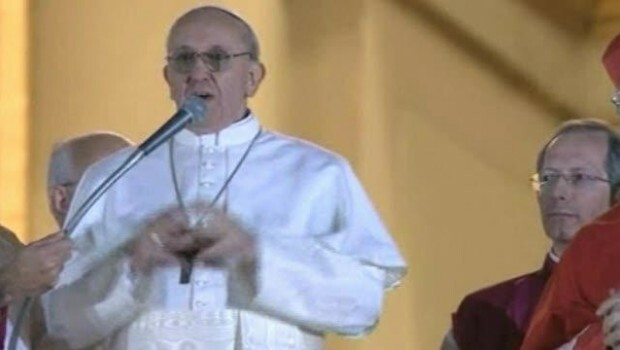 For years circulate documents that prove that Bergoglio, that was the Provincial Superior of the Society of Jesus in Argentina, was responsible for the kidnapping and torture of two priests accused of being revolutionaries. Once again the Vatican institution chooses its representatives showing great consistency: the power must be in the hands of ultraright, homophobic, misogynistic people and faithful servants of capitalism.